There are four key areas that need to be considered when labelling garments: Fibre Content, Country of Origin, Care Instructions and Flammability. Whilst the rules across the EU are similar they are not the same in all areas. Key export markets such as the USA, South Korea and many other countries have different legal requirements. UKFT maintains a global database of the care labelling requirements in all other major markets throughout the world. As well as advice on care labelling, UKFT can also provide members with information on the different requirements on fibre content and country of origin labelling. UKFT is the UK representative of GINETEX, the organisation that owns access to all garment care labelling symbols. Membership of UKFT can also give you the right to use the symbols throughout the world without any further charges. For the five main symbols and more detailed information, please visit our care labelling website. Fibre content labelling in apparel and textiles is mandatory in the UK and across the EU as laid down in the 2012 Textile Products (Labelling and Fibre Composition) Regulations. The basis of these Regulations is that the label must include information on the main fibre types used and their percentages – for example wool 80%, cotton 20%. The information given must be understandable by a consumer in the market in to which you are selling. It is not sufficient just to use English if you are exporting to the EU. A Guidance Note to these Regulations is available to download. Separate Regulations exist dealing with footwear. A copy of the Guidance Notes on Footwear Labelling is available to download. Virtually all the key export markets require fibre content labelling. Country of origin labelling is, generally speaking, not compulsory in the EU. However, it is necessary to have an origin label if, without such a label, the consumer could be misled as to the true origin of the garment. For instance, if a garment carried the British flag on it but it was made in Hong Kong, then the garment should include a label to that effect. Fraudulent origin labelling is illegal. A growing number of markets both in the EU and further afield require garments to be labelled with the name and address of the importer or brand. For specific details, members should contact the team at UKFT. The inclusion of washing instructions is not mandatory in the UK; however, it is strongly encouraged. We would always recommend the use of GINETEX symbols – the system used throughout Europe as well in many other countries including Japan, China and India. Use of GINETEX symbols removes the needs to use written care information on a label. A recent survey revealed that 84% of UK consumers would never or rarely buy clothing that did not contain care information. For the five main symbols and more detailed information plus an explanation on how to use them please download our information document or visit care labelling website. Please note the symbols are protected by trade marks in over 90 countries throughout the world including the UK. There is a fee to use them in many European countries. UKFT is the UK representative of GINETEX, the organisation that owns access to all garment care labelling symbols. Membership of UKFT can also give you the right to use the symbols throughout the world without any further charges. Although many countries use the GINETEX system there are some notable exceptions including the USA, South Korea and Australia. Members of UKFT should contact the office to receive market specific advice. Brands, retailers and consumers are increasingly aware of the environmental impact of looking after clothing. 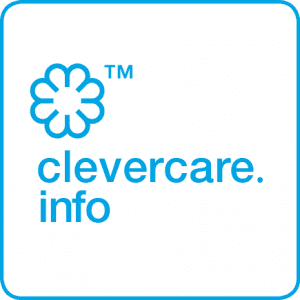 In response to this GINETEX has developed CLEVERCARE the eco-care logo to encourage & educate the consumer to extend the life of garments and to reduce the impact of cleaning on the climate. Nightwear and garments commonly worn as nightwear are subject to certain labelling requirements concerning their flammability. Children’s nightwear must satisfy the flammability requirements specified in British Standard 5722. Babies’ garments and adults’ nightwear must carry a permanent label showing whether or not they meet the Flammability Standard. Further information on this labelling of nightwear is contained in `A Guide to the Nightwear (Safety) Regulations 1985′. A copy is available to download. Following the publication of BS EN 14878 Textiles – Burning behaviour of children’s nightwear – Specification, in November 2008 a new Advisory Note on the Requirement for Safety of Children’s Nightwear was been produced. A copy is available to download. Clothing sold in the Netherlands must meet minimum burning behaviour requirements. MODINT, the Dutch Clothing Association has entered into an agreement with the government regarding these requirements. A copy of the agreement, which gives details on the minimum burning behaviour of fabrics is available to download. MODINT have also produced a guide to help companies assess if their fabrics/garments need to be tested. A copy of this guidance available to download.